Historical and architectural wealth, which has collected along the valley of the River Loire, is one of the treasures of France. More than 200 large and smaller palaces and aristocratic homes are a fundamental part of the glory of the French cultural heritage. 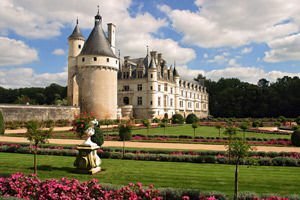 Among the picturesque nature of this central part of France are the jewels in the crown of noble palaces - Chenonceau Castle, Amboise, Castle of Villandry and Usse Castle. 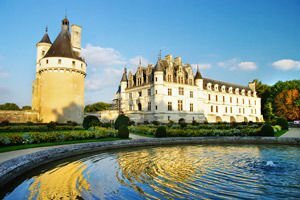 One of the most elegant castles in France is Chenonceau Castle which remains slightly away from the Loire. This elegant and romantic palace was built on the old mill on the River Cher, which operated there long before the first written evidence of the castle during the 11th century. The current manor was designed by French architect of the era of Philibert Delorme. 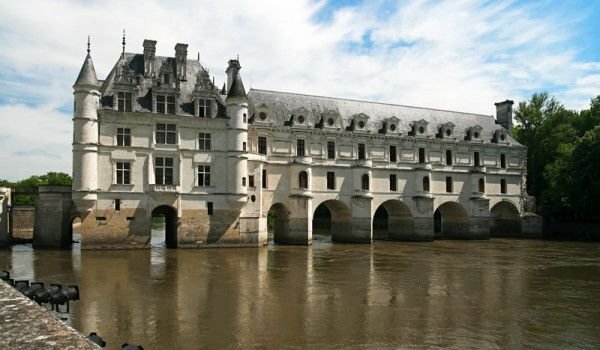 In 1515, Thomas Boyer was the collector of taxes for the treasury during the time when King Francis I began building the Chenonceau Castle. The castle remained unfinished at his death and was subsequently finished by his wife and son. Chenonceau Castle was built directly into the waters of the Cher, which beautifully reflect the brilliant architecture of the castle. The other side connects with a bridge and on both sides is surrounded by a moat. The entrance to it is 8 euros. Chenonceau Castle is known as the "female" castle because it is intertwined with fates of several women, including four queens. In 1547 King Henry II gave it to his mistress Diane de Poitiers, turning the castle into a nest of love. The gardens surrounding it were to protect them from the transfusion of the river and then they built a bridge connecting the castle with the other bank of the Cher. Later a two-storey gallery was constructed to be used for a ballroom, and the bridge between the two sides of Cher. Some rooms accommodated young women who were trained in the art of courtship to lure high ranking officials visiting there and to reveal their important secrets. Chenonceau Castle differs from most palaces in France because it has perfectly preserved kitchens, which can be seen in many places in an authentic look. In the butchers area you can see the huge choppers hanging on the walls and a bakery with shovels removed from the furnace is also quite interesting. The dining room, has a heady aroma of servants because of its ceiling that had hung bunches of dried herbs. The beauty of this palace has inspired Jean-Jacques Rousseau for his philosophical and poetic works. 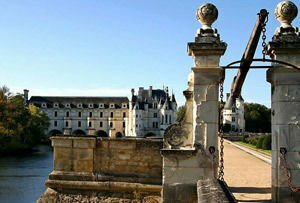 If you want to visit Chenonceau Castle you will require paying an entrance fee of 8 euros. The former mill is now converted into a souvenir shop.